The intense attention of a Scorpio in love can be very alluring and enticing and frankly irresistible. 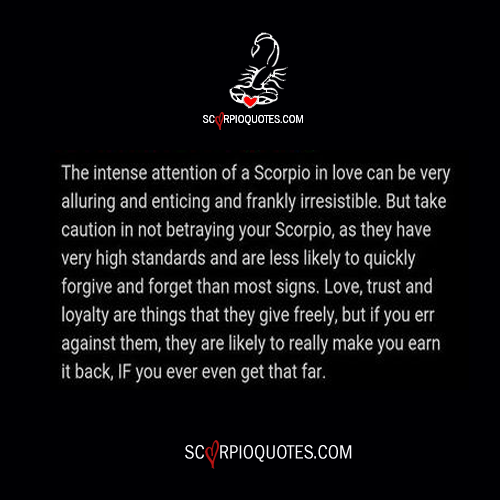 But take caution in not betraying your Scorpio, as they have very high standards and are less likely to quickly forgive and forget than most signs. Love, trust and loyalty are things that they give freely, but if you err against them, they are likely to really make you earn it back. IF you ever even get that far.